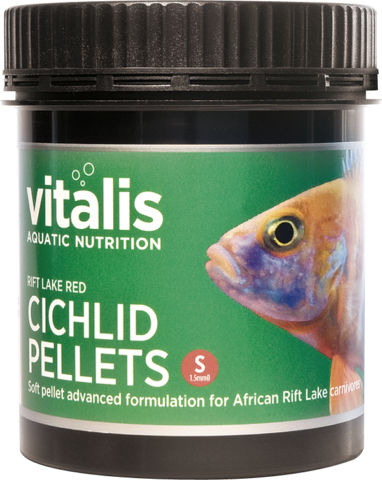 Vitalis Rift Lake Cichlid Pellet - Red is designed for carnivorous cichlids from the African Rift Lakes. 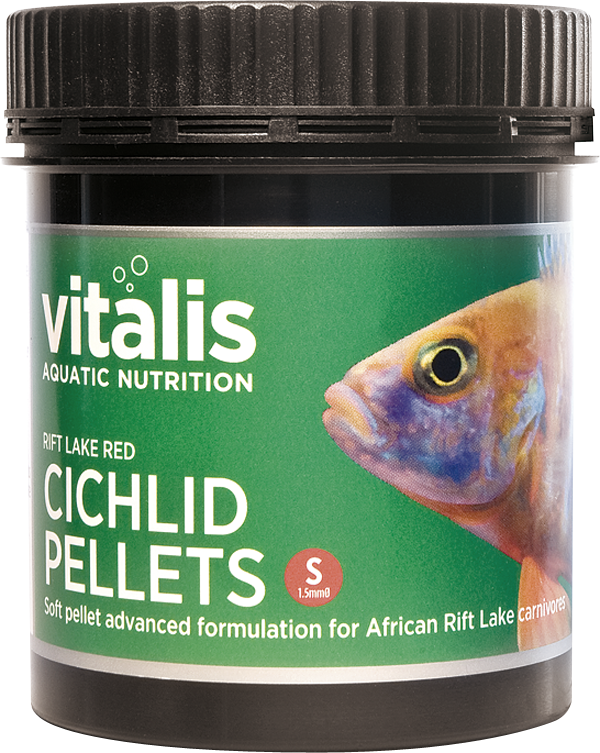 Vitalis Rift Lake Cichlid Pellet - Red is designed for carnivorous cichlids from the African Rift Lakes. 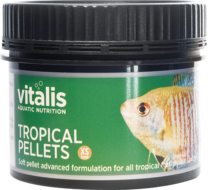 The large percentage of crustacea in this diet, along with our unique vitamin and mineral formula make this the ideal food for species such as Haplichromis and Judiochromis. 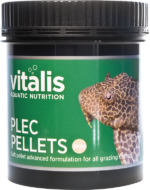 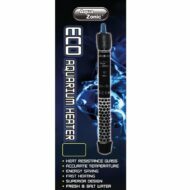 Tailored to meet the high protein needs of carnivorous cichlid species, this slows sinking pellet allows you to observe your fish exhibiting a natural feeding response. 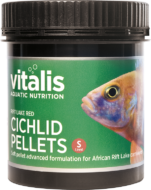 The incorporation of natural pigments ensure you will achieve a healthy colouration in your fish. 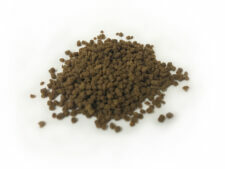 Fish and Fish Derivatives, Derivatives of Vegetable Origin, Molluscs and Crustaceans, Oils and Fats, Minerals, Vitamins. 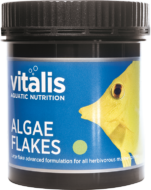 Protein 47.5%, Inorganic Matter 20%, Moisture 19%, Fat Content 10.1%, Fibre 0.50%.